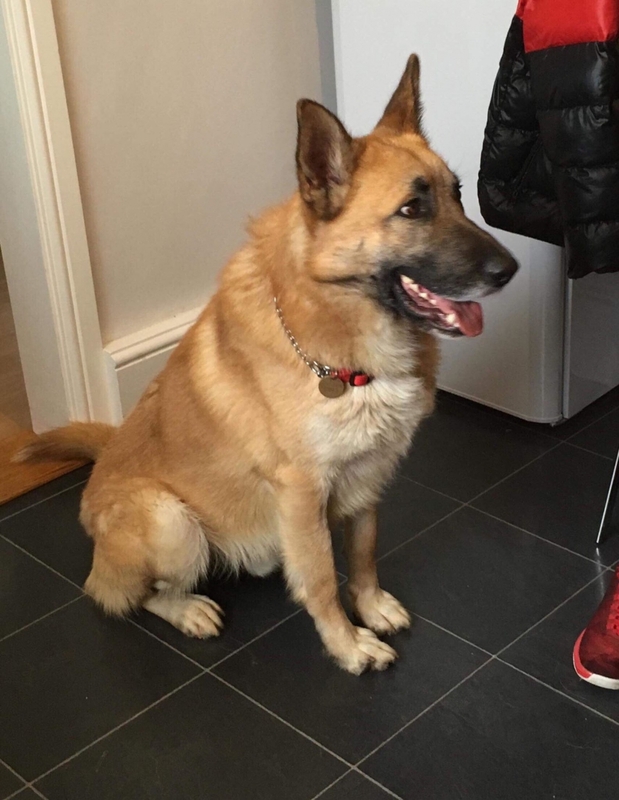 Benson is a beautiful German shepherd X who is thought to be between 2 and 3 years old. He is vaccinated, neutered and microchipped. Benson was abandoned by his owner, as he was found wandering the streets and he was taken to the local shelter. Benson was introduced to other dogs he was good with all the female and some males , though he wasn’t keen on dominant males. 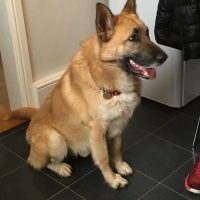 Benson has been in his present home for 2 months, he is house trained and is ok to be left for a few hours, sadly his owner doesn’t have the time to put in the training that Benson needs. It appears that Benson was never allowed to be a puppy and this is now coming out as he does jump up people and does mouth though not hard. 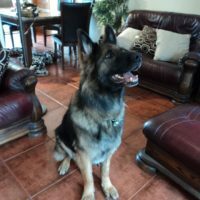 Benson needs a family who have the time to go back to basic training and set him boundaries as without these Benson thinks he is topdog. 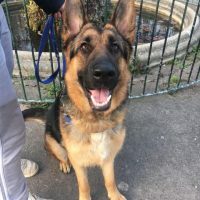 Benson is a lovely friendly boy he just needs to learn some manners. 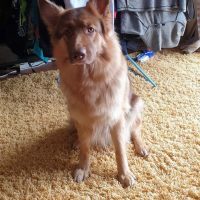 He has been living with a 10 year old child and has been fine with him but we will only rehome him with visiting children or children over 14 as he is a big boy and can knock little ones over when playing. 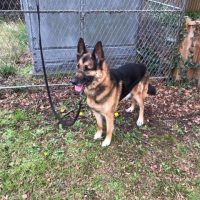 Benson walks beautifully on the lead , doesn’t pull except if he sees a cat, he will look towards other dogs when out but he hasn’t had the oppertunity to meet any off lead as yet.